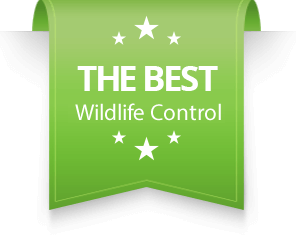 Raccoon Removal - SIA Wildlife Control Inc.
For a successful and humane raccoon removal we use a seamless 1-way door system designed for raccoons. Our technicians will install a raccoon 1-way door onto a galvanized carbon steel mesh. This mesh does not rust and over time it will dull and blend in better with the home or area. When the 1-way door is prepared the technician will then place the mesh over the entry area to allow an exit for the raccoon. Raccoons will return during early morning times but the door will deny re-entry into the area. This process will solve your problem and warranty that area for a period of 2 years. Our warranty is effective as long as there is no human tampering. It’s very important to ask your roofers to reinstall our work to its original location if you plan on changing your roof in the future. If a raccoon has entered/burrowed under your deck, the removal process will involve digging and installing a screening with a 1-way door placed on the original entry point of the deck. This allows the raccoon(s) to leave indefinitely and not be able to return back in through the same area. Raccoons don’t like being kicked out of their dens. They will try nightly, weekly, monthly and yearly to get back into your attic. To avoid ever having a raccoon problem in the future, our technicians prepare an optional prevention package specifically for your home during their inspection. How can you tell that a raccoon is in your attic and not a squirrel or mice? Raccoons are active during the night, which is usually just at sunset. When raccoons wake up in the evening they slowly head towards their entry point and leave the attic in search of food. During this moment you may hear heavy footsteps trekking across your ceiling. From late night all the way until morning you may hear them at anytime regularly coming back in and doing their business in the attic. Whether it’s shuffling insulation, playing, grooming or simply getting comfy for sleep they will probably disturb your sleep. During the day it’s not common to hear raccoons all that much, you may hear some activity but not as much as the evening. Need to know more about noises? Read our noises in the attic article. Wildlife control experts may sometimes have no choice but to trap and relocate raccoons. In certain situations the only method of being rid of a nuisance raccoon is to trap and relocate it. Raccoons can be destructive, and sometimes they don’t leave lawns alone and ruin people’s hard work. In open spaces where no physical work can be done, trapping is the only option for raccoon removal. Because of the animal stress involved in trapping raccoons, they are seldom used unless necessary. 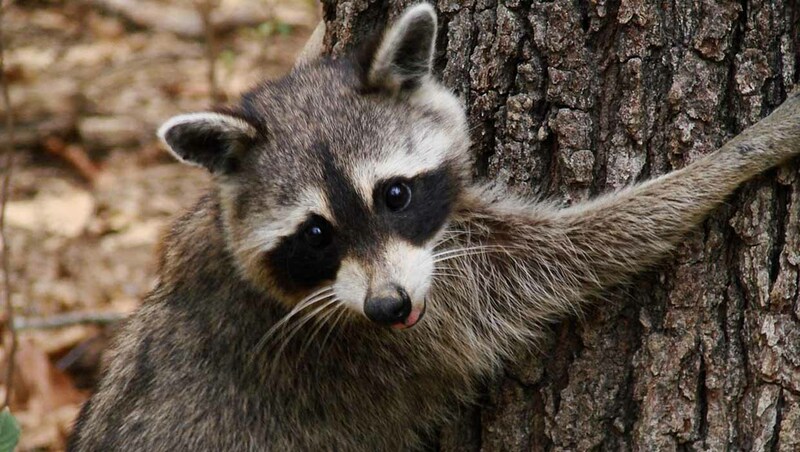 A seasoned technician will avoid trapping and relocating female raccoons during baby season, because the raccoon most likely has babies she will leave behind. The relocation range for wildlife according to city bylaws is 1km. Raccoons survive by means of scavenging food from compost bins, or food found in an accessible storage area. While this is a convenient way for their population to bloom, it is not the only way. Raccoons also eat smaller animals. Adult raccoons regularly hunt squirrels mostly in the evening and late hours in their shelter. For predators, raccoons need to worry about coyotes and other raccoons. Having abilities like climbing can help raccoons avoid danger with coyotes, but they often have fatal battles with other raccoons. Raccoons have to fight for survival especially in the baby season for territory and dominance. During the winter times raccoons don’t hibernate but rather slow down their activities. They can go without food for quite some time before leaving shelter and scavenging. In terms of wildlife control raccoon removal is still fairly active in winter but definitely less so than spring. Raccoon attic infestations begin in spring all the way through to winter. One of the main reasons they are most active in spring is for the well being of the babies. Raccoon babies require warmth to grow properly because their bodies don’t regulate heat and can easily die in the cold. During their baby season in March, a raccoon is very active trying to feed her babies and protecting them. Raccoon removal in this season is especially difficult because it limits the use of one-way door systems in the removal process. A one-way door cannot be used to evict the mother while her babies are inside an attic or confined space. For this reason technicians need to enter the area in question and physically remove the babies. Having babies in possession, the next step is to reunite the babies with mother raccoon before sealing the area. Therefore it’s best to perform your raccoon removal services before March, it can be costly to solve your problem in the baby season. During the baby season it’s possible to have your raccoons removed by one-way doors or a raccoon trapper provided several steps are followed. Technicians and trappers have to ensure the raccoon babies are physically removed and placed near entry points or united with trapped mother. Wildlife control personnel must account for problems where the babies are inside a wall space, and they should ensure their safe removal. A technician may need to cut your ceiling or walls to extract the raccoon babies to complete the process properly. If raccoon babies are not removed from such spaces and the mother cannot reach them, she will attempt to destroy the roof or area. The result of these events can be expensive carcass removal and home repairs! In short, raccoons and squirrels can cause Rabies, Salmonella and Leptospirosis. Furthermore raccoons are the main carriers of Roundworms. Some squirrels may also carry Ringworms (different than Roundworms). To learn about some of these diseases toggle the action bar below. Roundworms are parasites that infect wildlife and humans alike. Raccoons are the main carriers of Roundworms and release an average of 4 million eggs inside their feces. If the eggs of Roundworms are accidentally ingested by humans, they will hatch and are a very serious problem. Attention loss to surroundings and people. Mobility problems due to a loss of muscle control.